Learning Spanish should be fun and inexpensive! 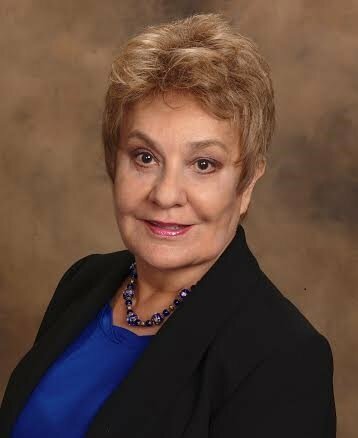 Blanca Hernandez, retired FBI linguist, is the perfect Spanish Teacher! 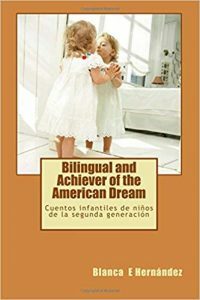 Learn Spanish Fast from an International Author, retired senior language analyst at the FBI, and language school founder / owner. 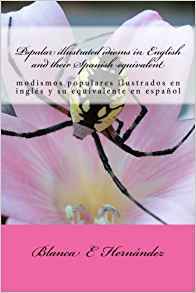 Blanca has written four books so far that are designed to help you come up to speed quickly in your quest to speak conversational Spanish. You can take the links below to go to Amazon.com and use the “Look Inside” feature. This is extremely helpful for my job. Excited to study this new book from Blanca Hernandez after having so much success with her children's book! As someone who frequently visits Mexico, I am excited to study authentic phrases that aren't taught in American highschool/college Spanish classes. This is a great little book and I found it to be very helpful. 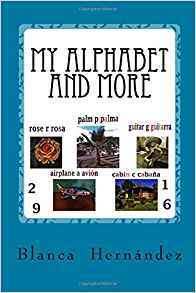 I cant wait to use some of these phrases on my up coming trip to Spain.I enjoyed reading this book. If you love proverbs, sayings and idioms, this book is definitely for you. As an English and Spanish-speaking Hispanic, I know many cultural sayings in Spanish that are difficult to translate into English, without losing its meaning. Well, look no further. 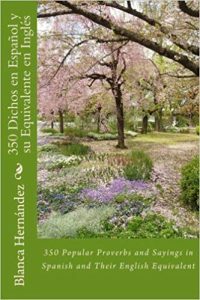 This outstanding book is a collection of the most popular idioms in Spanish and their respective equivalent in English (not a translation, but an idiom in English that means the same thing). It's absolutely ingenious and brilliant. An excellent addition to your urban dictionary collection. ​Get Tips & Course Annoncements!